Event 5 is over. 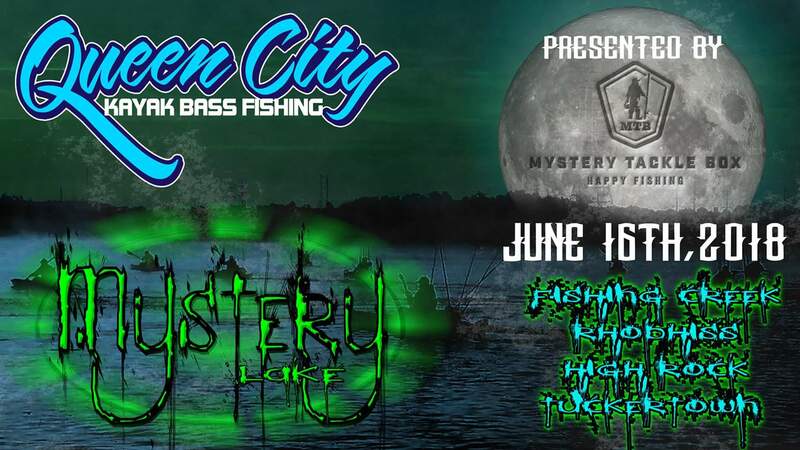 The Mystery Event presented by Mystery Tackle Box is always a fun event. Not knowing where we will end up. Not being able to plan or practice. It adds a new level to the game. Usually at this point of the season we are looking towards the finish line. Usually only 2 events left, drops start now etc. Well 2018 we changed it up. We added two events. The main reason for that was because of summer fishing. Some wanted to eliminate summer events. Some wanted to keep them. So I added two events, and added a drop, in turn giving you the opportunity to skip summer fishing. I think some people took advantage of that this month. Mystery draw usually scares a few off, plus the drive, plus the 200 degrees outside. We had 47 come play today. Regardless, the excitement of $1000 was still in the air. We launched at 530am, four ramps on beautiful lake Rhodhiss were open. Guys were spread out really well. Not a breeze in the air, glass water. Some guys reported great top water bites, and some didn’t get a sniff. We didn’t have a ton of bass caught today, and most the fish that were caught were on the small side. Fish didnt seem to picky about what they ate tho. Junk fishing for most guys. At the end of the day PC Hawj laid the smack down on the bass, and us. He had the only 70inch limit and walked away with the #1000. Not very close behind him was Andy Myers with 63inches good enough for $430. Rounding out the top 3, Melvin Yang with 60.5 worth $290! Our Emerald School of Excellence Big Bass went home with Tracy Stanfordand his 20 inch pig! He took home $230. Our Yak Bass’n and HOW small bass pot went up with the Co Commish Buster Swisher. A 7.25inch worth $125. Buster also won the smallest limit award and has a chance to recover with some Scivation! The Pro Image Sports team event went home with Kevin Wilkinson and Zach Clark. They each earn $50 to ProImage Sports. Commish and Co commish took second, worth $20 each to ProImage. It was so hot today people had their phones in coolers at the weigh in so they would cool down and work. I had to put the AC in my car on during weigh in so Buster and I could get our phones to work. Summer fishing is tough. The grind of waking up at 130am today. Fishing all day. Standing at the weigh in. Give yourself a pat on the back if you did it and made it all the way to 3pm. I always have a blast with you guys. Thank you for fishing with Queen City Kayak Bass Fishing. Our next event is Installing The Holidaysevent 6 on Lake James. July 28th. Ramps, times, etc will all be posted this week. The sponsor and myself are working on a few things. Please take a second and give pur sponsors a like on FaceBook. These companies give us so much stuff to give away at every event. (See pics below). The drops are coming and the AOY/TOC race is getting interesting. Will you make the top 15 event!? Dont give up. Anything can happen! P.s. huge thank you to Ryan Dills and Ryan Hulsey for handing the boards today. I need extra hands. Time to hire someone.